This is a picture provided by Jerry Heath. It is a picture of what I believe to be the 1973 Gapp & Roush Pinto. This could be 1976. Not sure at this point. 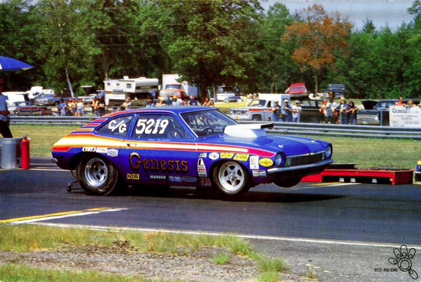 Jerry states that Tim Goodner purchased the car and ran it in Super Gas.